Ricordi manufactured this very nice puzzle in 2003. 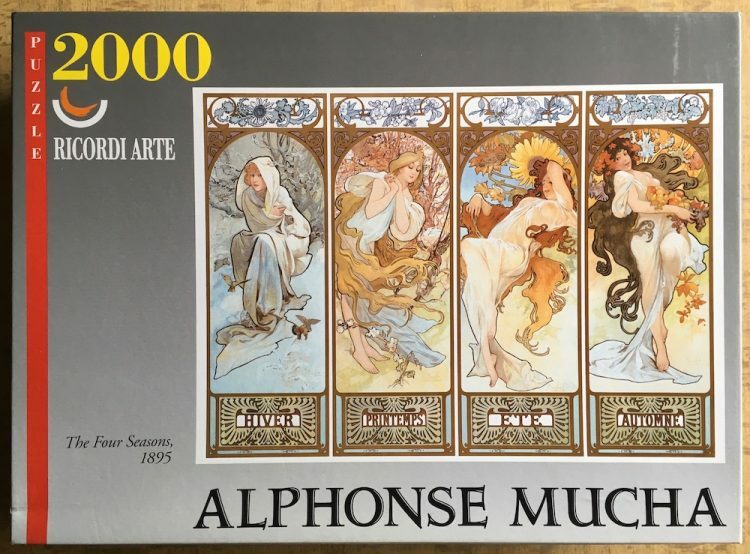 The title is The Four Seasons, by Alphonse Mucha. This artist is very popular among puzzle enthusiasts. This puzzle is like NEW, with all the pieces SEALED inside the original plastic bag. The box is in excellent condition. Educa produced in 2005 a magnificent 4000 pieces version of this same painting. 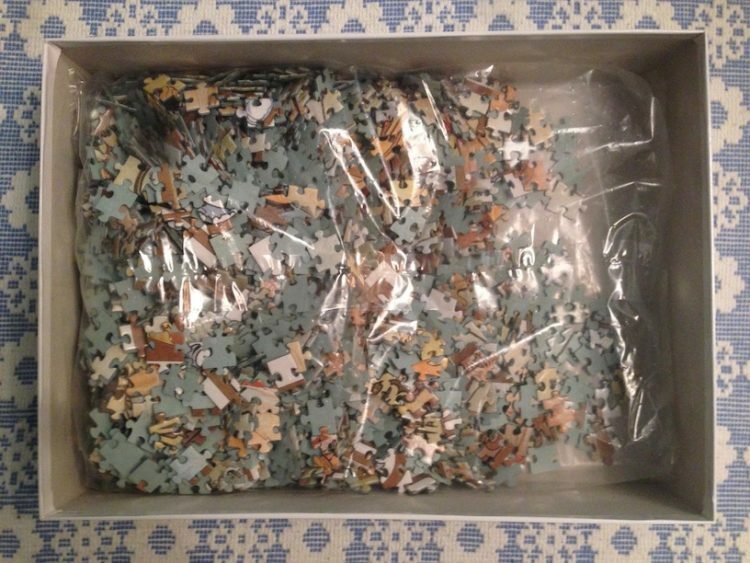 Puzzle size: 69.2 x 96.8 cm. Box size: 37 x 27 x 8.7 cm.